I enjoy teaching students one to one or one to two in my studio. 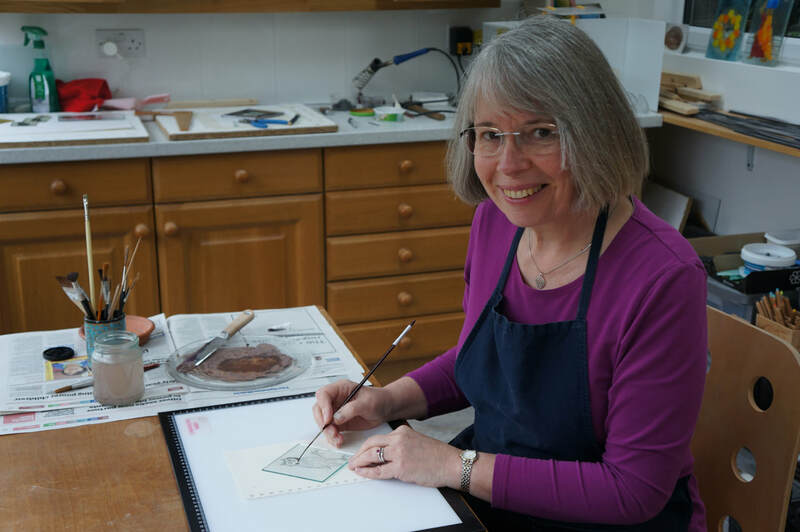 My most popular workshop is the introduction to making stained glass. I am now offering a range of workshops, including painting on glass, drawing from nature and making a fused glass hanging. As an experienced teacher I can tailor-make workshop sessions for you, please contact me to discuss your needs and ideas.